I happen to be a glass-half-full kind of girl, and so is Amanda. Here she is with her daughter Sophia, a year before their lives changed forever. 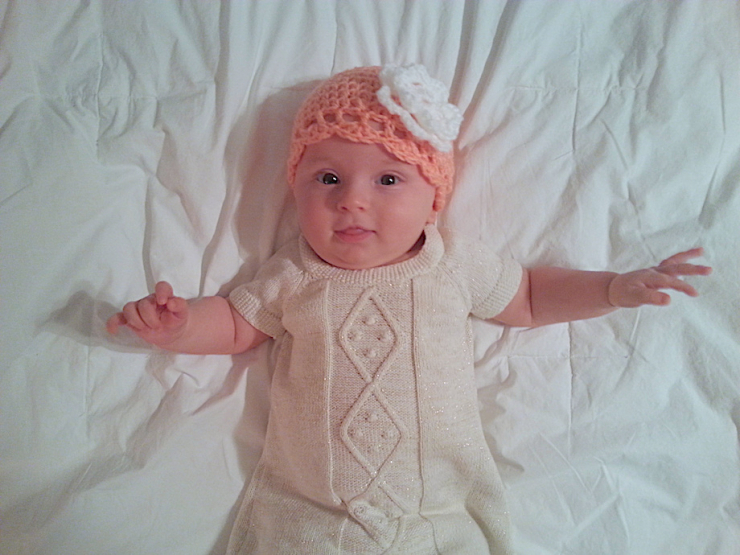 Sophia was born completely healthy in November of 2013. 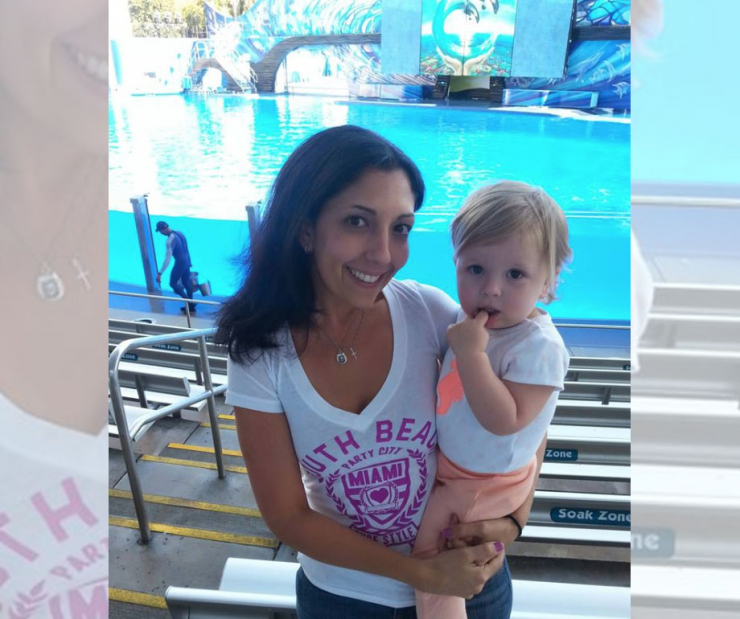 Her parents adored her, and life for their little family rocked along splendidly for two years. 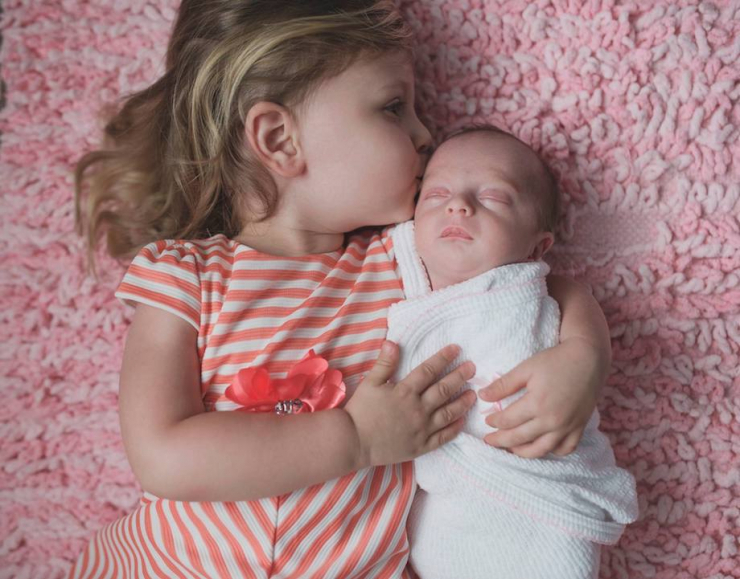 They even grew by one more in April of 2016. The next month, however, they all caught a little summer cold. 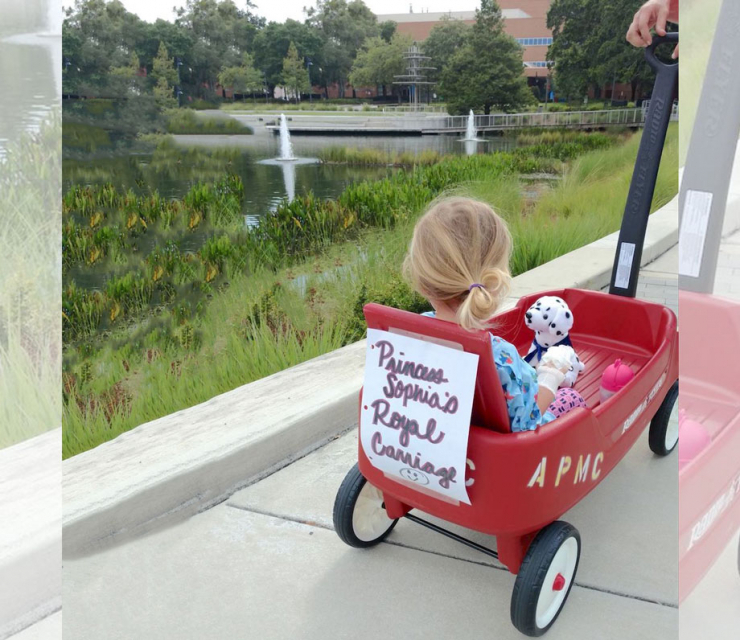 “We rushed her to the pediatrician, and they sent us to Arnold Palmer Children’s Hospital,” Amanda said. 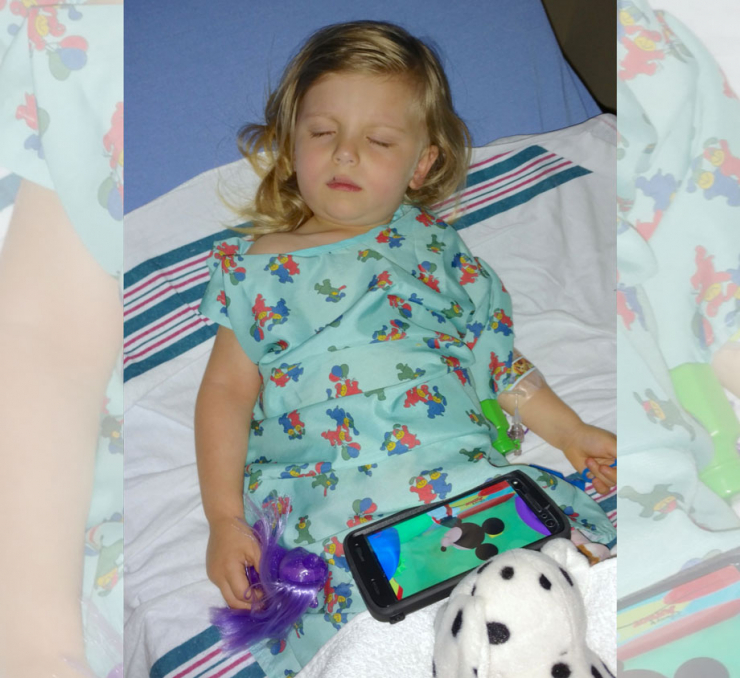 Doctors there performed X-rays, a CT scan, blood work, a spinal tap – everything they could think of to figure out what was causing Sophia’s loss of function. 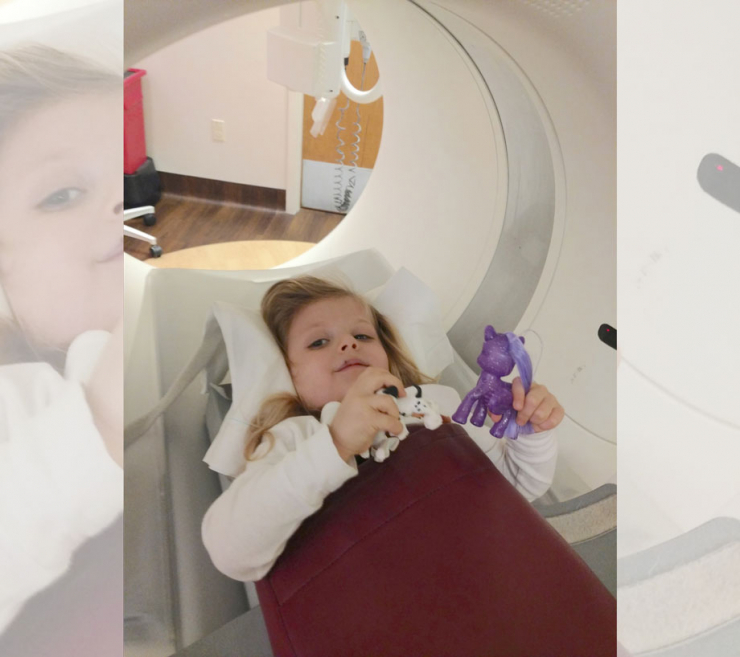 Finally, one suspected Sophia had acute disseminated encephalomyelitis (ADEM), and recommended an MRI to confirm the diagnosis. But it would take two MRIs and two misdiagnoses before doctors finally learned the truth: Sophia had acute flaccid myelitis (AFM), which affects the spinal cord, and causes sudden muscle weakness, loss of muscle tone, decreased or absent reflexes, and difficulty swallowing, speaking, and moving the eyes. Sophia was just two-and-a-half. At that point, she couldn’t move her right leg at all. 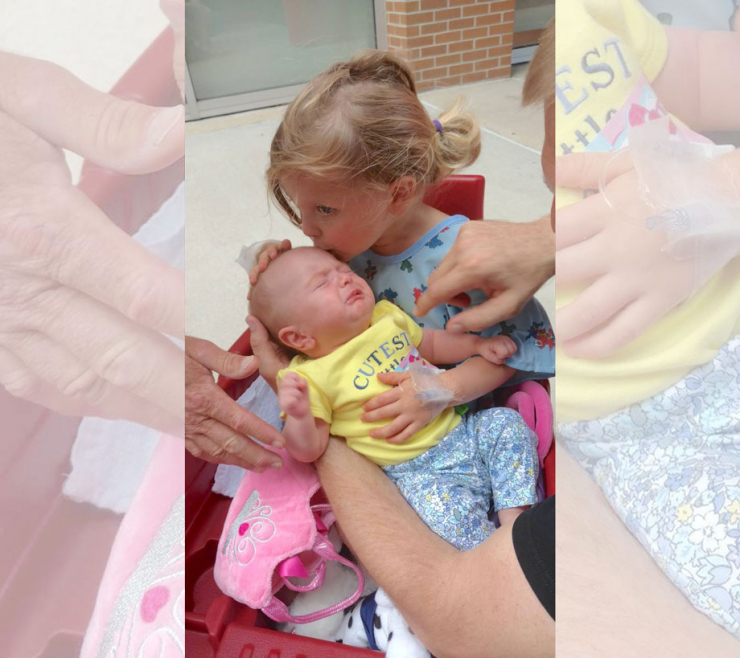 After nine long days, sweet Sophia went home. Then, the hard work began. 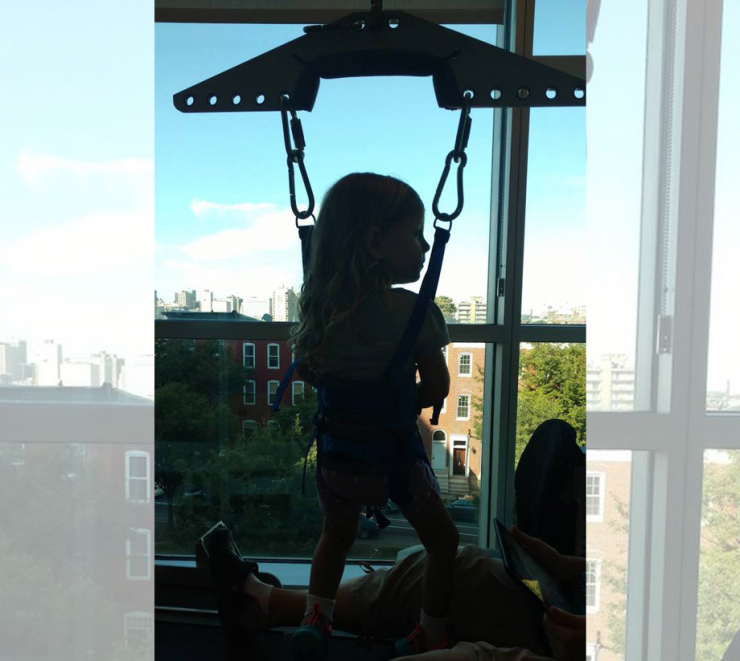 Sophia would need to rebuild her strength and wake up her central nervous system if she was going to walk again. 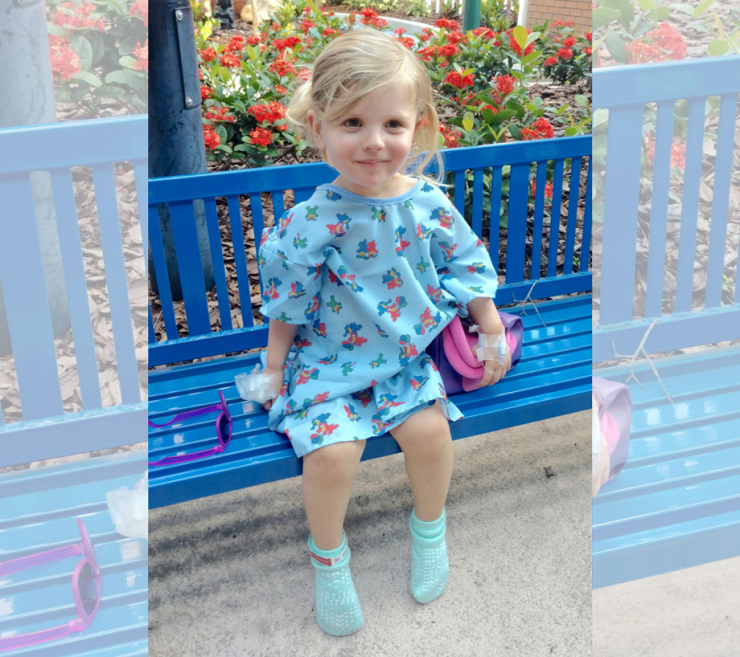 In January of 2018, doctors performed a nerve transfer to her right leg, one of the first of its kind to the lower extremities. It wasn’t a miracle cure, but it did kick things off and provide a glimmer of hope. Amanda told us Sophia can walk short distances with her brace, but it’s not a normal walk, it’s more of a hop, and it’s not sustainable. 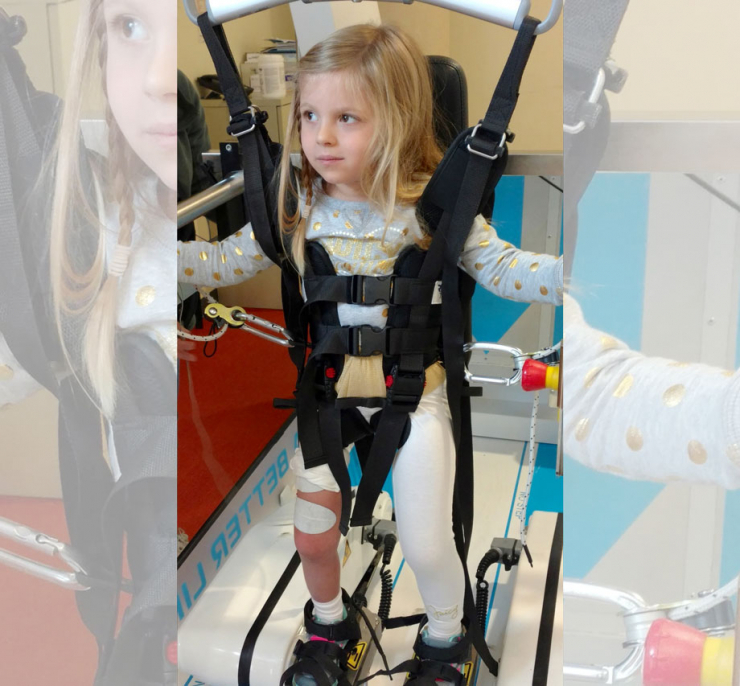 If she has any hope for a normal kid life, she needs intensive physical therapy from practitioners who know about AFM – like the folks at the Kennedy Krieger Institute in Baltimore, Maryland. 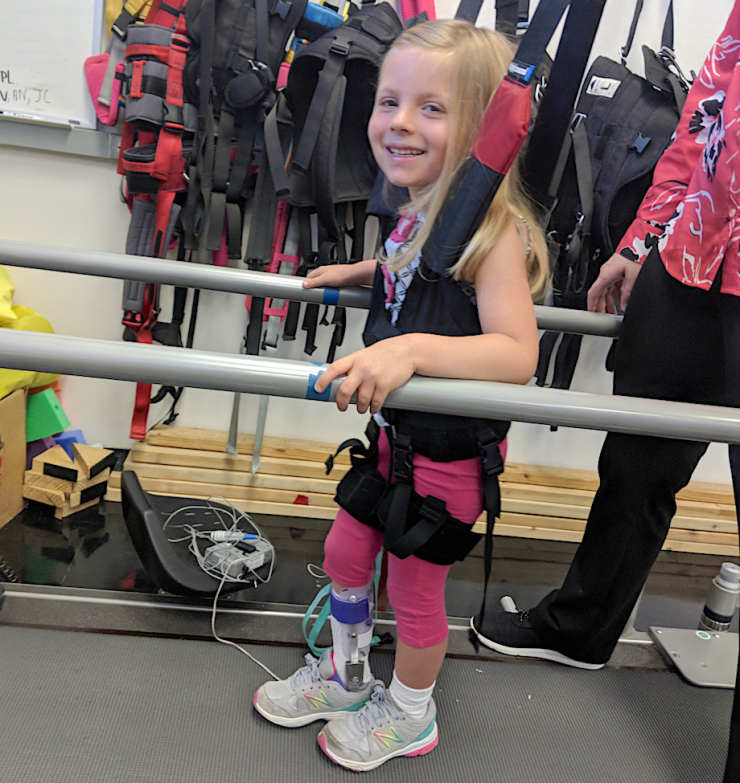 They’re the industry leaders in AFM research and treatment, and if anyone can get Sophia back on her feet again, they can. 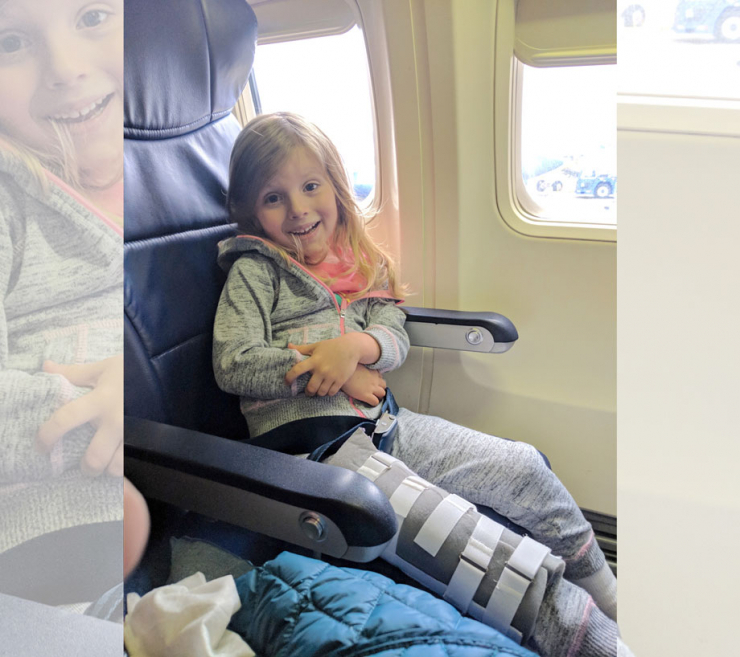 If you’ve read our stories before, you know Chive Charities believes mobility is imperative to happiness, so it will come as no surprise when I tell you we were instantly on board when Amanda asked us to help Sophia walk again. They had the treatment cost covered, they just needed a hand with travel expenses from Florida to Maryland. Thanks to our incredibly kind monthly donors, we provided a $6,100 grant for airfare and hotel expenses for Sophia and her family, so this vibrant, resilient five-year-old can have the future she deserves. 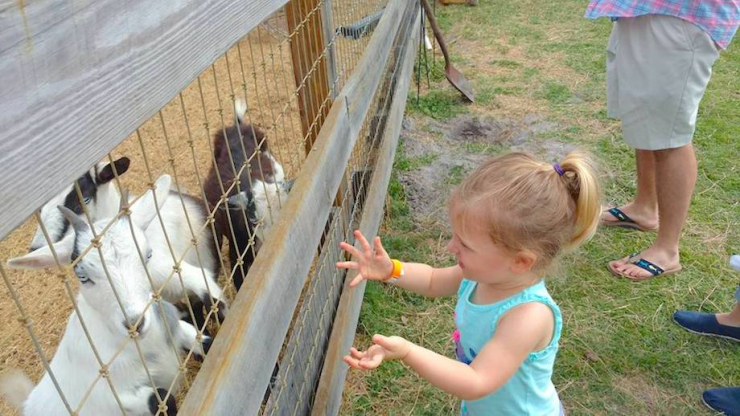 We can’t wait to see all the places she’ll go…maybe one day she’ll walk into theCHIVE HQ to say hello? 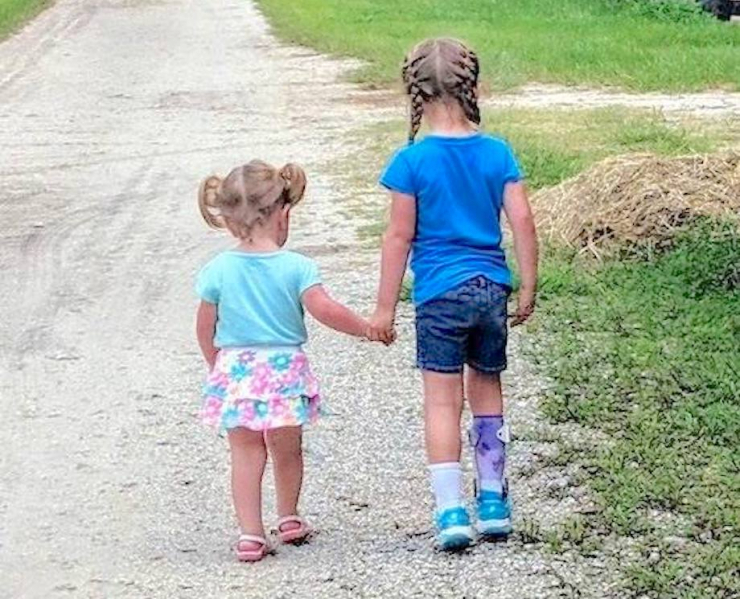 There are lots more kids just like Sophia who want to run and play and live great lives, and Chive Charities is on a mission to make it happen. Help us help them by becoming a Chive Charities monthly donor RIGHT HERE.